The Series 7 line of electric razors from Braun is ubiquitous in the electric shaving community. 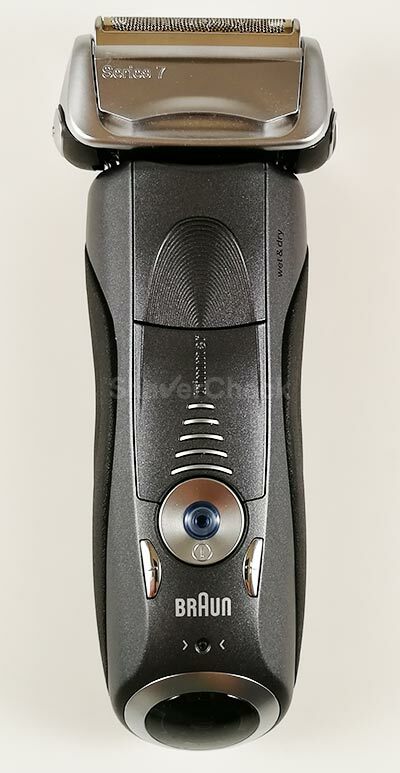 No other shaver in recent years has managed to get close to it in terms of popularity and user base. 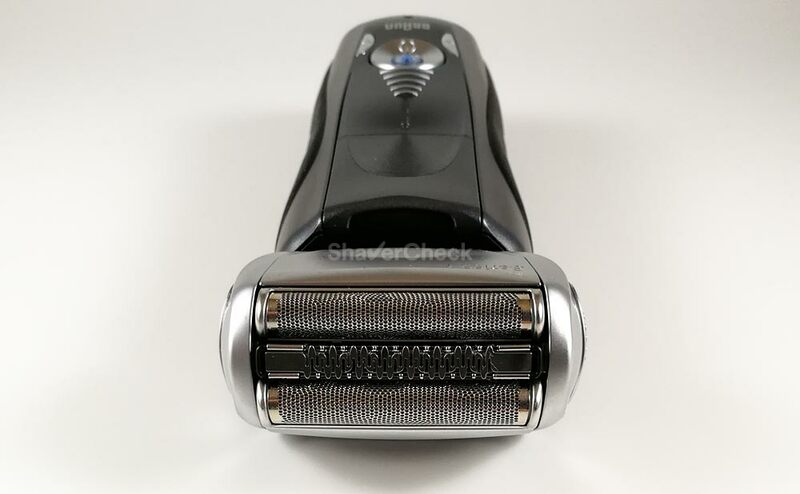 Having access to P&G’s huge marketing budget definitely helped with the Series 7 becoming a best-seller in its category, but the shaver must have done some things right on its own as well. The Braun Series 7 7865cc is part of the new models that were introduced in 2016. Compared to the shavers from the previous generation, the 7865cc comes with a new color, a new cleaning station and a few other novelties that we’ll inspect closely later on. Moreover, this particular Series 7 model is shaping up to be at least as popular as the well-known 790cc as it usually costs less than other similar Series 7 variations and it’s widely available. But before going right ahead and spending your hard earned cash on it, you might want to take a moment and find out just how well the 7865cc actually shaves and if there are better alternatives for the same money — or even less. 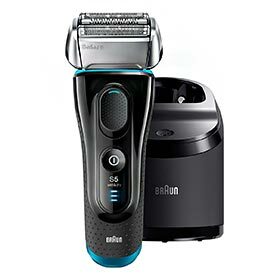 In this Braun Series 7 7865cc review we’ll do precisely that and address all the important aspects concerning this particular razor, showcasing both the pros and the cons. Speed settings — do they really make a difference? Who should buy the Series 7 7865cc? As usual, we’ll start off with a quick glance over the main features. The 7865cc has three individual cutting elements: two finishing foils and one middle trimmer. 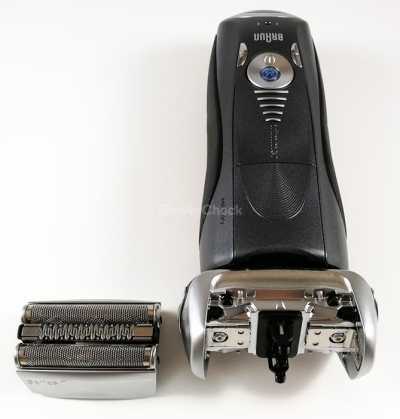 This is a familiar setup used by Braun on almost all their shavers except for the Series 9 that features 4 blades. The two outer foils will cut the hairs close to the skin, while the specialized middle trimmer will capture longer, flat-lying whiskers that grow in different directions and cut them down to size. 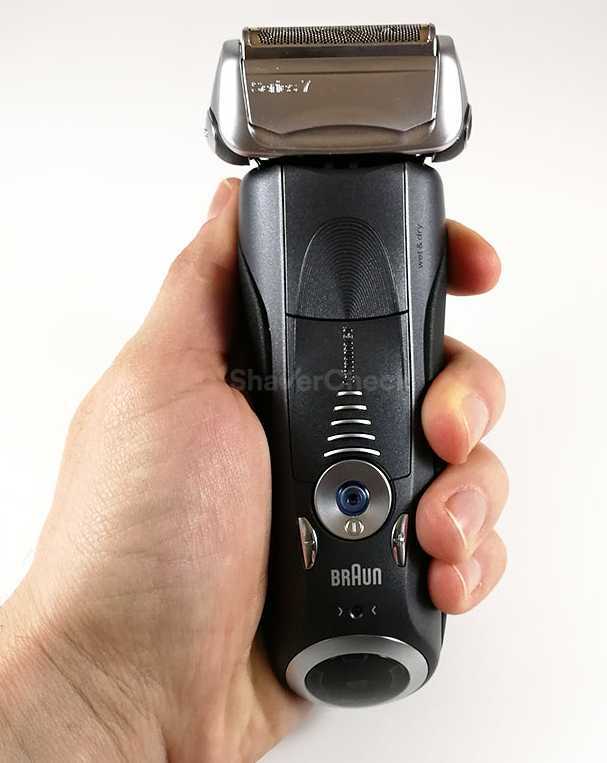 The Braun Series 7 7865cc uses the same shaving heads as the previous Series 7 models. 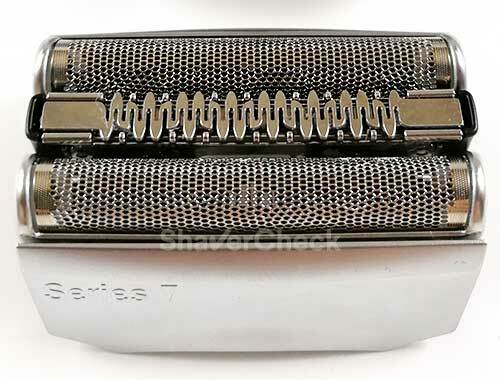 Please note that Braun refers to the new Series 7 on their website (and on the packaging) as being an electric shaver with 4 specialized shaving elements. In reality, they’re only 3 active elements and it’s just an attempt of overblowing the specs. 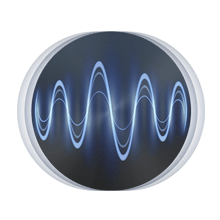 This is the term used by Braun to describe the vibrations of the foils. Apart from the oscillation of the inner blades, the motor on the Series 7 also produces these micro-vibrations, making the foils vibrate. This supposedly helps with capturing and feeding more hairs to the cutting elements. We’ll see later on in the performance section how well it really works. Since it’s part of the refreshed Series 7, the 7865cc comes with five personalization settings so you can alter the speed of the motor from Sensitive to Turbo mode. In theory, this allows you to adjust the aggressiveness of the shaver depending on the area that’s being shaved. For example, you could use the lowest speed setting (sensitive) when shaving irritation-prone areas like your neck. 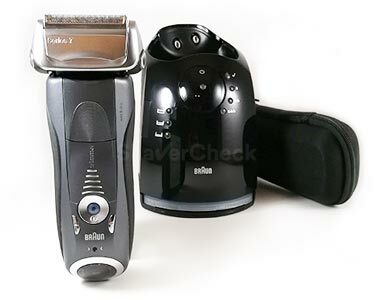 Older Series 7 models like the 790cc or 799cc only had 3 shaving modes. We’ll find out later on if this really makes a difference in real life use. The head assembly of the 7865cc can pivot on one axis and the 3 shaving elements can be depressed individually. There’s nothing new about this setup as the same system was used on previous Series 7 models. Braun now calls it an 8-D Flexible Shaving System and I honestly don’t know how they came up with that number. However, the motion of the head is really smooth and the three shaving elements can be depressed using very little force. This ensures excellent contact with the skin and it works a lot better than for example Panasonic’s ultra-sophisticated flexing systems. The older Series 7 shavers had a dim, awkwardly placed LCD display that was hard to read in low light. The new 7865cc features an updated display that is now properly bright, but not particularly useful in my opinion. As all cc models, the Series 7 7865cc comes with an automatic cleaning & charging base that does precisely what the name implies. The station uses the same cartridges as all of Braun’s cleaning systems and takes care of cleaning and lubricating the shaver so you don’t have to do it. On the surface, it looks exactly the same as Braun’s older cleaning stations for the Series 7, but there are a couple of key differences that we’ll discuss in the cleaning and maintenance section of the review. Other noteworthy features include a 5-minute quick charge function, pop-up trimmer, precision lock, wet & dry operation. Sadly, there’s still no travel lock. Braun was always at the forefront of industrial design innovation and has produced quite a few remarkable products throughout the years. The Series 7, while not without flaws, was and still is a sample of that design philosophy. Despite the new color and a few tweaks, the design of the Series 7 has remained unchanged since its introduction back in 2011. In my opinion it has aged very well, despite looking a bit dull compared to other shavers from Panasonic or Philips Norelco. I wouldn’t call it boring, but rather understated. The new grey color of the 7865cc contributes even more to that under the radar presence and it’s definitely less in your face than the glossy black and even the silver variations. The shaver is made entirely out of plastic, but it doesn’t feel cheap at all. It is a high-quality plastic that seems very sturdy when holding the shaver in hand. The body of the 7865cc is quite thick and it doesn’t taper at all, but being lightweight and well balanced it actually doesn’t bother from an ergonomic standpoint. The generous rubberized material on the back and sides provides fantastic grip even when your hands are wet or covered in lather. The head pivots smoothly and the cassette snaps precisely into place. A nice touch that improves the ergonomics significantly is the charging cord that comes with the 7865cc. Unlike the older one that would simply stick out horizontally when inserted into the cleaning station or into the shaver itself, the end is bent at a 90-degree angle, completely solving the problem. 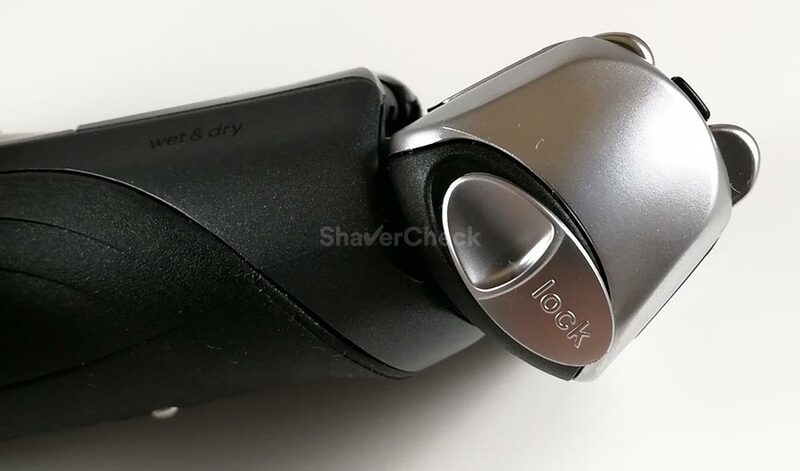 On the front of the shaver you’ll find the pop-up trimmer, the slider that deploys it, the tiny ON/OFF switch and the two buttons that alter the speed. 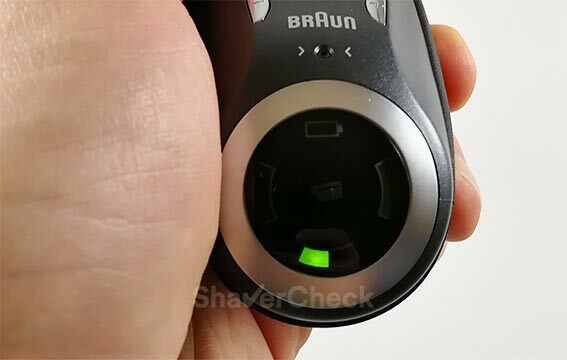 Right below the Braun logo there’s a recessed button that resets the notification for changing the shaving head. Flipping the 7865cc over you’ll be greeted with a rather lackluster design, but again, very functional. The ribbed rubber surface is extremely grippy and extends on the sides all the way toward the front of the shaver. The two metal studs come into contact with two metal plates inside the cleaning station so that the razor can be charged and cleaned according to the hygiene status. Toward the bottom there’s the charging port, still not ideally placed, but at least the new charging cord won’t stick out as much as before. On the right side of the shaving unit there’s a head locking switch, while on the left side you’ll find the head release button. The notorious problem with the head locking mechanism is still present with the newer Series 7 shavers, including the 7865cc in this review. Precisely, if you lock the head in a fixed position by sliding the switch and then try to move it by applying more force, the locking mechanism would simply snap and you wouldn’t be able to lock the head anymore. And that can be pretty useful when shaving tricky spots as in the locked position on of the foils is also retracted, making the head even more nimble. I personally never used it as I find it very slim and maneuverable, especially coming from a Panasonic Arc 5 with its massive 5 blade head. But it is nevertheless a useful feature to have. 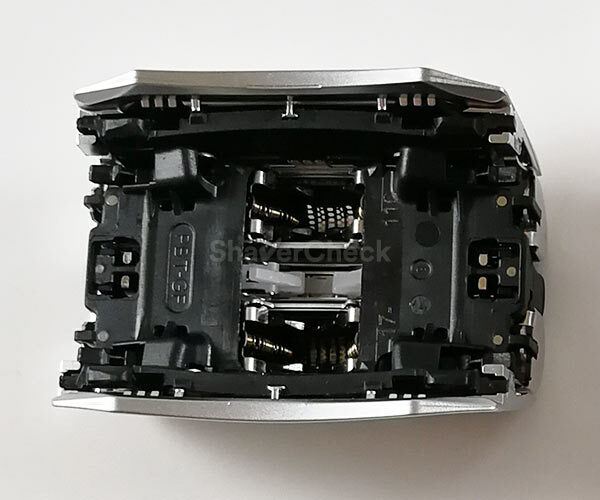 With the Series 9 and even the Series 5, this problem was sorted out and the implementation of the locking mechanism is far superior compared to the Series 7. This basically means that you’ll have to be careful not to force the shaving head once it’s in the locked position. Finally, there’s another potential problem that only affects the cc models which come with a cleaning station. Despite the use of a special paint that should withstand the constant exposure to the alcohol based cleaning fluid, the paint right below the cassette can flake and chip in time. I cannot tell you if this issue was fixed with the newer 7865cc as it can take months or even years of use before this happens. 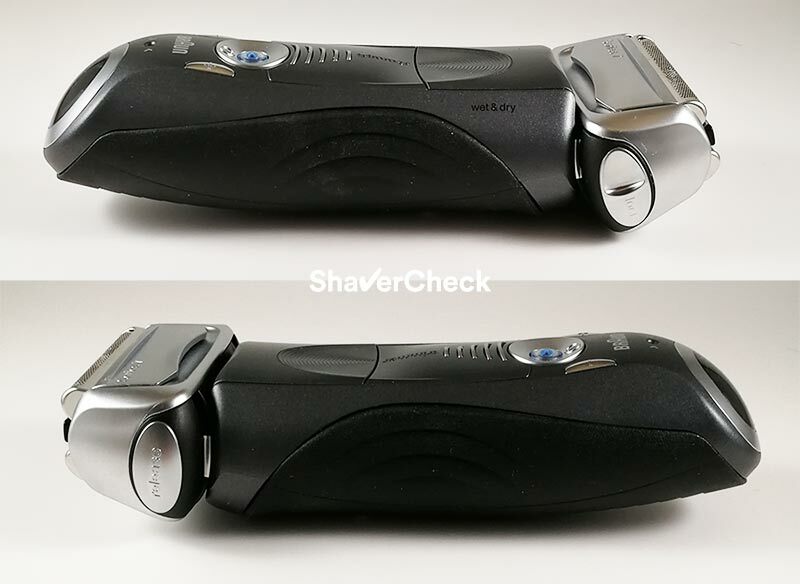 While unsightly, the damage is only visual and won’t affect the performance of the shaver. Finally, there’s still no travel lock with the newer iteration of the Series 7. Braun could have finally taken care of this by fitting a proper, physical travel lock. The ON/OFF button is indeed very hard to press, but that still doesn’t count. Overall, the Series 7 7865cc scores very high particularly thanks to the very solid and sturdy construction. To me, the more expensive Series 9 feels a bit flimsy in comparison. I have to point out that everything looks and feels of high quality, from the packaging to the silky texture of the travel case. As for the negatives, I would have liked to see a plastic cap included as well, but it is what it is. The Series 7 7865cc in our test is a wet & dry electric shaver, so you can only use it cordless as a safety precaution. If corded use is a must have then you should check out some of the older dry only models like the 790cc, 760cc and so on. The newer Series 7 are all wet & dry shavers and can only be operated in cordless mode. The rechargeable Li-ion battery of the 7865cc provides approximately 50 minutes worth of shaving time. In practice, the battery life is excellent and during my tests it performed outstandingly in this regard. Charging the battery from 0 to full takes about one hour. You have the option to charge the shaver via the cleaning station or by plugging the included cord directly into the shaver. A 5-minute quick charge with the battery completely depleted should be just enough to finish one shave. The 7865cc comes with the updated LCD display that was introduced along with the new Series 7 models. The hygiene meter of the older Series 7 is now gone and instead there’s just a confusing charge status display. There are 3 charging lights: full battery, 50% charge and low battery. During use, the corresponding light will blink, but it’s easy to see why this implementation isn’t particularly useful. For example, the full battery indicator can signify anything from a 100% charge all the way down to a 51% charge. A percentage display or even basic 20% increments like on the Series 5 would have been much better. The red low battery indicator will start to blink when there’s only enough juice left for 2 or 3 shaves. 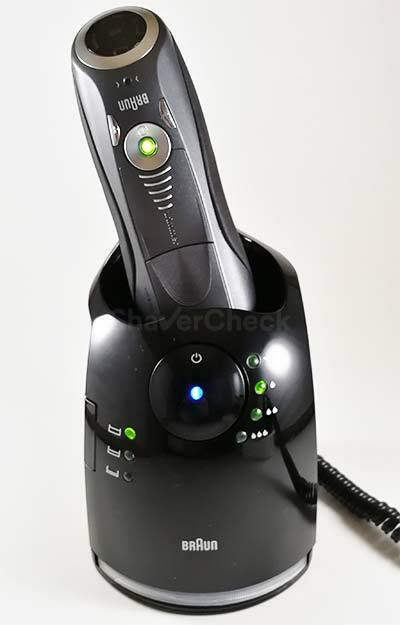 When the shaver is being charged the corresponding green charging light will blink throughout the entire process. Once the battery is fully charged, all the green lights will shine continuously then turn off after a few minutes. In the very center of the display, there’s the replacement head indicator that will light up every 18 months. You can reset it by pressing the button located on the front of the shaver with a pencil tip. Now for the big question — how well does the Braun Series 7 7865cc actually shave? It’s undoubtedly one of the best electric shavers you can buy right now. But there are also a few gotchas that you must be aware of and depending on your priorities, this shaver may not always be ideal. There’s a lot of information to cover in this section so we’ll break it down into several chunks. 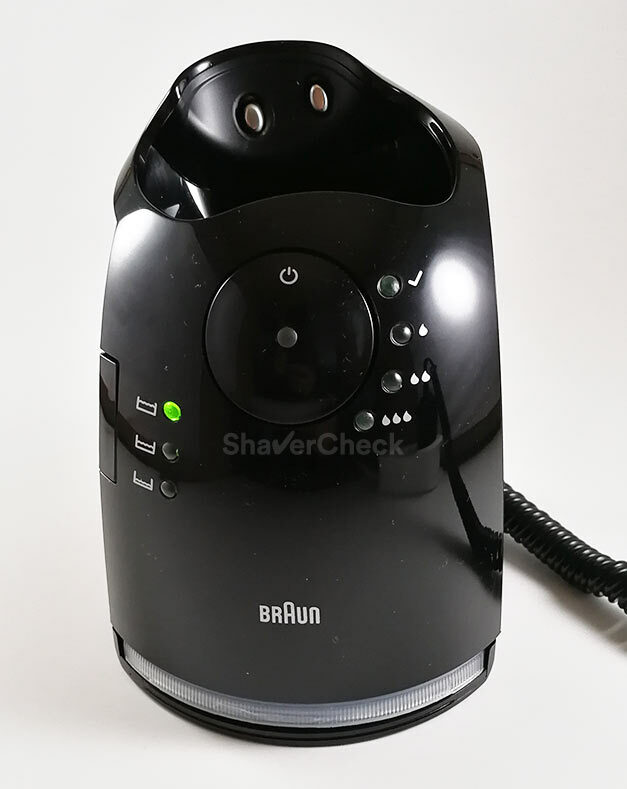 Getting a close shave is certainly possible with an electric shaver from Braun; however, they never excelled in this area and in my opinion Panasonic still has the edge when it comes strictly to getting the closest possible shave. That’s the case throughout Braun’s entire lineup of electric shavers, including the high-end Series 9. The 7865cc follows that path as well and its performance is pretty much identical to the previous iterations of the Series 7. That’s not surprising at all when we look at what has actually changed with the newer Series 7 models. I can’t really find anything that would supposedly give it a performance boost. Maybe that fifth power setting, but we’ll get to it as well. The closeness that I get with the Series 7 7865cc is more than adequate to me and I think most users will be perfectly satisfied with the results. On my cheeks and neck it is particularly good, on par with the best I ever got from an electric shaver. Shaving my chin and above the upper lip where I have particularly dense and thick hairs is where the 7865cc could be a bit better. The closeness is not quite as good compared to using a Panasonic Arc 4 or Arc 5. I am very nitpicky and again I think most users wouldn’t be bothered by this. I was impressed with the way the 7865cc manages to stay in contact with the skin, especially when shaving the neck and toward the jawline. 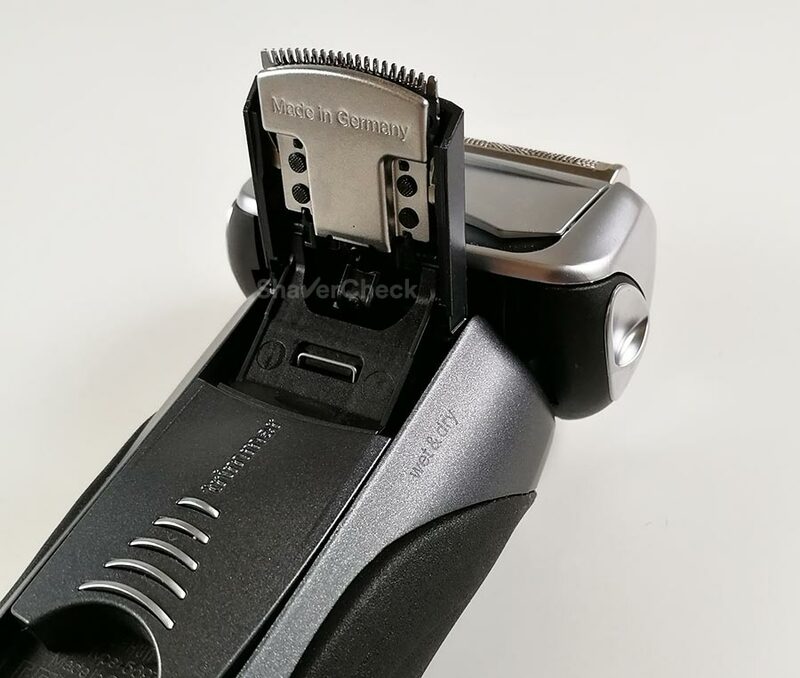 The shaving head pivots smoothly and the blades can be very easily depressed; it takes little force to move them and this ensures optimal contact with the skin and shaving with the 7865cc feels smooth and effortless. I’ve tested quite a few electric shavers throughout the years and the Series 7 continues to be one of the most comfortable machines you can buy. The Series 9 is the only one that manages to outperform it, but only slightly and for a whole lot more money. To me the Braun 7865cc is one of the most comfortable, gentle and forgiving shavers out there. I have sensitive skin and this is one of the very few shavers that I can comfortably use dry without any issues. The foils never get hot, never pull hairs and the vibrations feel oddly nice to my face. I don’t really know if they make a difference in capturing more hairs since the Series 5 lacks this feature and performs almost identical, but they do contribute to a more enjoyable shave. The post-shave comfort is excellent and I never experienced any razor burn or irritation. 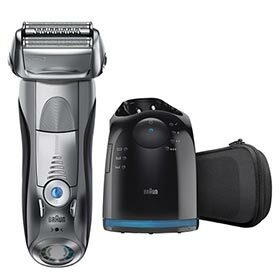 Overall, the Braun Series 7 7865cc is impressively good at providing a very comfortable shave. Shaving short stubble is usually not a problem for an electric shaver, even if it’s a basic, entry-level model. Longer hairs that tend to lie flat on the skin or wiry, stray hairs pose a challenge to most, particularly to foil-based shavers. If you shave often, daily or every other day, this isn’t really a problem. However, if you tend to skip a few days without shaving you might want to look for a more capable electric razor. Luckily, the Series 7 7865cc is surprisingly good in such a situation. I would even say that the Series 9 is the only foil shaver that’s better in this regard. When reviewing an electric razor I try my best to test it in various conditions in order to present a comprehensive and relevant conclusion. Shaving both short and longer facial hair is an example of that. Unsurprisingly, shaving short stubble poses no problems for the Braun 7865cc. However, when I used it on a three days beard, it also performed impressively well. It required fewer strokes than most other shavers and was extremely effective at capturing the hairs on my neck that lie flat and grow in different directions. I think Braun absolutely nailed it with the Series 5, 7 and 9 in this regard. Their specially designed trimmers just work better than the ones from the competition. In conclusion, if you tend to shave less often, have wiry, flat-lying hairs that grow in different directions, the Series 7 7865cc will handle them just fine. The Braun Series 7 7865cc has 5-speed settings, ranging from Sensitive to Turbo mode. This is one of the main differences compared to the previous generation Series 7 (790cc, 799cc, 740s etc.) that only had 3. These settings alter the power output of the motor and Braun says you should use them depending on the area that’s being shaved. For example, when shaving your neck or other irritation-prone areas you should use the Sensitive mode, while on the chin and cheeks you are supposed to use one of the higher power modes. In theory, this sounds good. However, after using several Series 7 from both the older and the newer generation I can safely say that they are pretty much useless. The lower power settings just make the razor feel a bit sluggish and don’t do anything in improving the comfort. Speaking of which, it remains more than adequate even when using the highest power setting. I never noticed any differences with regards to comfort. My advice is to simply use the high power mode at all times. You can cycle through the different modes by pressing the two buttons located on either side of the ON/OFF button. The color of the power button will change depending on the power mode that’s being selected, ranging from light blue to dark blue and bright green for the Turbo mode. 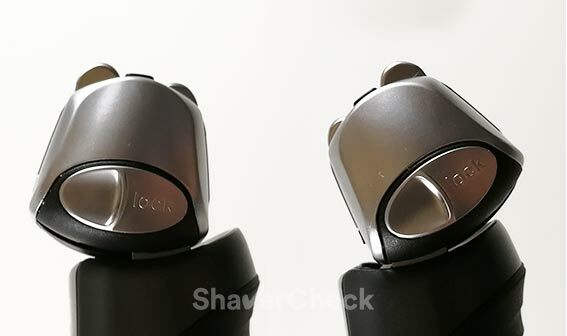 The shaver will remember the last setting you selected and will use it the next time you turn on the shaver. Another thing worth mentioning is that the Turbo mode on the newer Series 7, including the 7865cc, is 12% faster compared to the high power setting on the older Series 7 models that had 3-speed settings. More power is always better in my opinion, but it’s hard to tell if that 12% will make a noticeable difference. I personally didn’t find the 7865cc to be significantly better than the previous models. All the newer Series 7 variations are now suitable for wet & dry operation. I personally enjoy wet shaving quite a bit, but I never found it to be particularly beneficial when using Braun razors. And it’s the same situation with the Series 7 7865cc. Using a shaving cream or gel didn’t do much in improving the closeness and the comfort was already excellent. A pre-shave lotion is a far better option in this case; it only takes a few seconds to apply and it actually helped me with getting a closer shave on the area above my upper lip. If you have a coarse beard definitely consider using a pre-shave and stick to shaving dry with the 7865cc. I always considered pop-up hair trimmers to be very useful on electric shavers. While it would be a pain to trim an entire beard with one, they’re certainly adequate for light grooming and touchups. 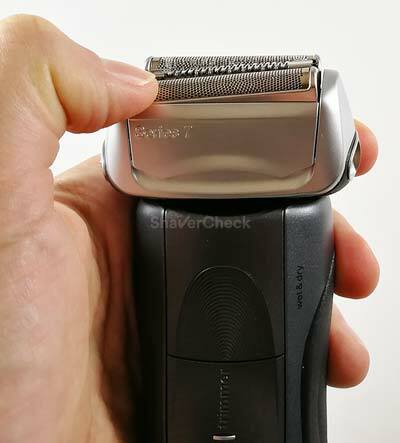 The Series 7 has such a trimmer, located on the front part of the shaver. In order to activate it, you must push the slider up with your thumb. Despite the prominent ridges, it’s pretty difficult to do it as it requires a lot of force and the sliding feels jerky. The trimmer itself is wide enough and its placement makes it reasonably easy to use. It has a rounded profile which I don’t particularly like as I prefer trimmers with a straight edge. However, my main gripe with it is that it just doesn’t seem to cut very well. I have to go over an area multiple times to get all the hairs and I must hold it at a very sharp angle relative to the skin or else it will simply miss a lot of hairs. The trimmers on Panasonic electric shavers are way better in my opinion. 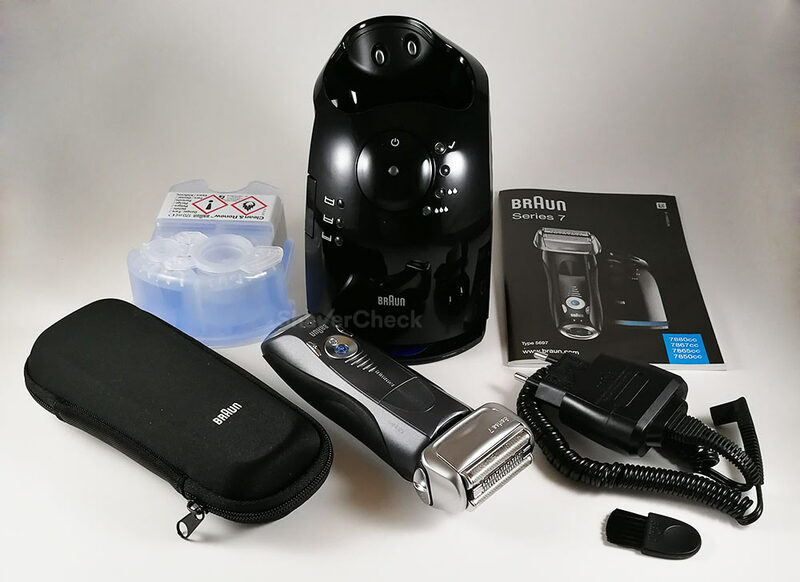 Whenever I review an electric shaver that comes with an automatic cleaning station, that component usually gets a lot of attention. When choosing between a variation of a shaver that comes with a cleaning base and one that doesn’t you should base your decision on one aspect: how easy it is to clean the shaver manually. Of course, using a cleaning station will also increase your cost of ownership, but we’ll get to that in a bit. I can honestly say that in the case of the 7865cc (and any other Series 7), the cleaning station is actually necessary and you’ll really appreciate the convenience of using one. All Series 7 razors use the same cutting heads, the 70s (silver) and 70b (black) cassettes. Unlike Panasonic and Remington, Braun’s shavers use these cassettes that encapsulate both the blades and the foils. The components are merged together into an intricate piece that can’t be taken apart, thus making it extremely difficult to clean manually. Below you can see a direct comparison between a Panasonic Arc 4 foil frame and the 70s cassette used by the Series 7 7865cc. It’s pretty obvious why getting rid of the hair strands and dirt trapped inside is a real chore in the case of the Series 7. While I always recommend skipping the station when it’s not needed, with the Series 7 it’s a necessary evil and a cc variation like the 7865cc will probably be a better option. I must say that you don’t have to use it every time you shave — I personally don’t. But every three to four shaves or so I always perform an automatic cleaning just to get rid of any dirt lodged inside the cassette. I found this to be optimal for the hygiene of my razor and also to reduce the running costs to a minimum. You can simply take out the cartridge and put the cap back on when you won’t be using the station for more than one day. Let’s now take a closer look at the station included with the 7865cc. It’s easily one of the smaller stations out there, definitely the most compact in Braun’s lineup. It features a glossy treatment on the front and matte on the back and sides. In my opinion it looks way better than the ones that Braun ships with the Series 5 and 9, which are larger and look a bit cheap. On the left side there’s the button that pops open the station. You can then insert the cleaning cartridge from the front until it snaps into place, then close the station, connect the cord to the mains and you’re all set. The controls are very clearly laid out. There’s a large round button that starts the cleaning cycle in the top center part of the station, while the LED indicators will show you various information. 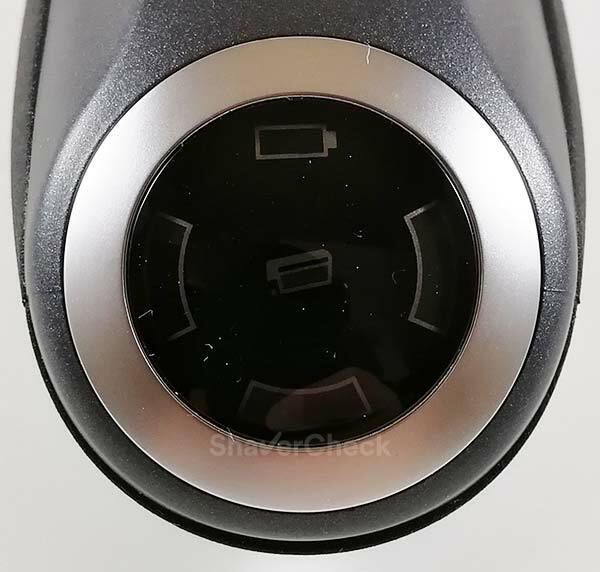 Right next to the ON/OFF button there are the indicators of the cleaning mode; the station automatically selects the required cleaning mode depending on the hygiene status of the shaver. 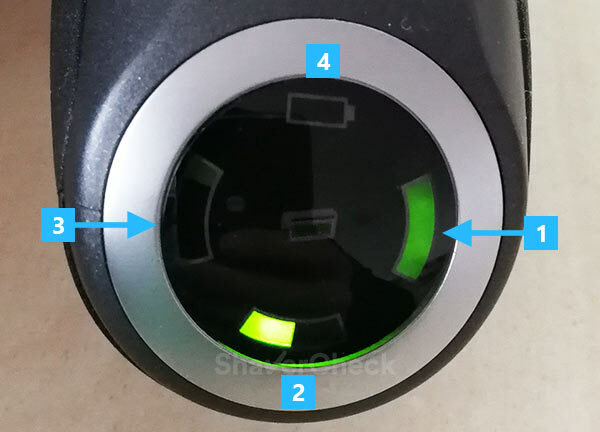 Depending on how much it’s been since the shaver was last cleaned, the station will select one of the three modes, each of them depicted by one, two or three droplets respectively. On the left side you’ll find the indicators for the cleaning fluid level. When the low indicator lights up the cleaning cartridge will need to be replaced with a new one. 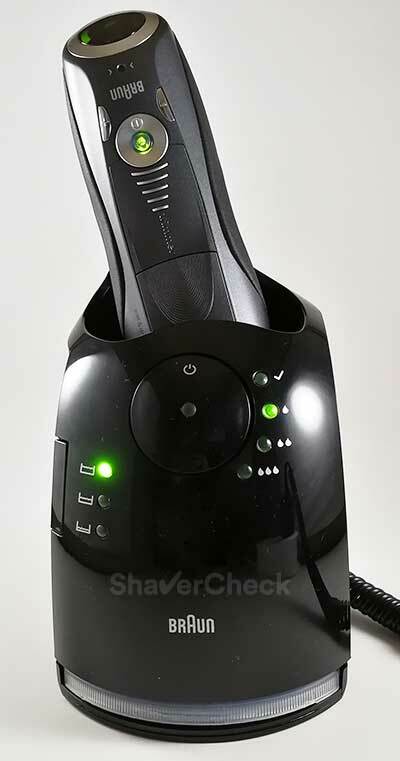 Upon placing the shaver inside the station it will start charging automatically. The station will choose an appropriate cleaning program, then you can press the button and start the cleaning cycle. During this process the central LED indicator will turn blue and shine continuously, while the corresponding cleaning mode indicator will blink green. A short cleaning cycle takes around 3 minutes, during which the shaver is turned on and off and the cleaning fluid is flushed through the shaving head. A high-intensity cleaning mode on the other hand will take up to 16 minutes. After that, the blue check mark that signifies a clean shaver will light up. At this stage, an older generation Series 7 station would start the drying cycle using an induction heating system. However, the stations included with the 7865cc, as well as with all other Series 7 cc models that are currently being manufactured, don’t come with this feature anymore. Braun decided to drop it entirely, most likely as a costs saving decision. This is a bit of a shame in my opinion as it was the one feature that made the Series 7 station stand out. Inductive drying uses a coil that gets really hot and dries the shaving head very fast and in complete silence. The Series 9 station for example uses a fan to dry the moisture and that produces some noise. Sadly, the Series 7 has joined the likes of the Series 3 and Series 5, Braun’s lower end shavers, and doesn’t feature any system to actively dry the shaver. As a result, the 7865cc needs around 4 hours for the cleaning fluid to evaporate completely. I’ve said it before that I don’t consider this a deal breaker, but I would have liked to get induction heating with my Series 7 station. Also, the ones from Panasonic allow you to just dry the shaver, which is something you cannot do with any Braun stations. Another feature present with the older stations was the ability to perform a quick cleaning. The quick cleaning mode is gone as well with the newer Series 7. Again, this is the case with all Series 7 currently being manufactured, including the 790cc. You could still get the older station separately from sites like Amazon, Ebay or shavers.co.uk (the part number is 81365080). On the bright side, the new station still cleans the shaver remarkably well. After a cleaning cycle it is perfectly cleaned, sanitized, lubricated and smells nice too. One cleaning cartridge will last anywhere from one month to a couple or even more. This depends entirely on how often you use your cleaning station. Since it’s alcohol based, the cleaning fluid will evaporate faster than the detergent-based solutions used by Panasonic and Philips. One way to counter this would be to remove the cartridge from the station and put the plastic cap back on if you won’t be using it daily. I strongly recommend you to do so. As I said before, using the station every now and then seems to be a good compromise. A manual cleaning isn’t anywhere as efficient as an automatic cleaning, but it’s good enough until you can clean your Series 7 with the station. And speaking of which, you can use a bit of liquid soap for a more thorough manual cleaning, then rinse the shaving head with warm tap water and let it air dry. I personally do this to get more cleanings cycles out of one cartridge. You can also make your own solution, but this can void the warranty and it’s entirely up to you if you decide to do so. The cost of the cleaning cartridges is pretty reasonable I guess, but pricey when compared to the competition. Luckily, there are cheaper third-party alternatives. Again, with Braun the cleaning station is a necessary evil, but you can make the most out of it using the above-mentioned tips. A quick word of caution regarding the 7865cc: since it’s a wet/dry shaver, you can use it with a shaving cream or gel. 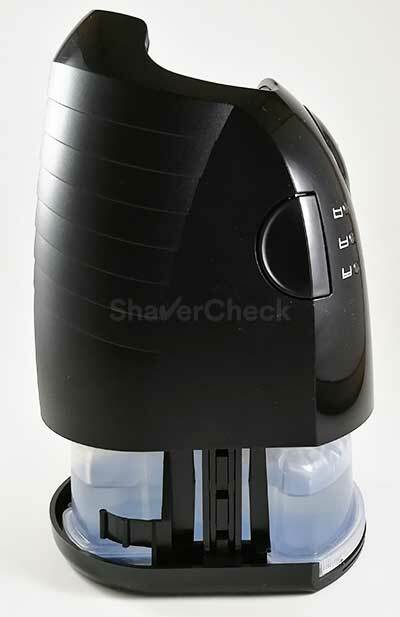 However, the shaver must be free of any lather residues and also dry before you can clean it inside the station. Failing to do so can clog the station in time. This is why I recommend to seriously consider a Panasonic or Philips Norelco if you’ll be shaving wet for the majority of the time and also want the convenience of the cleaning station. All Series 7 use the same replacement shaving heads, the 70s/70b cassettes. The cost of these parts has varied tremendously throughout the years. At one point the price was extremely convenient, especially when compared to the costs of the competition, particularly the Panasonic Arc 4. Nowadays the 70s/70b shaving heads are a bit pricey. For example, a Series 9 92s shaving head doesn’t cost a whole lot more. You can sometimes find these cassettes on sale and get a great deal, so make sure to do a bit of research beforehand. As usual, Braun recommends changing the shaving head of your Series 7 7865cc every 18 months. In reality this can be a whole different story depending on your shaving habits, the coarseness of your beard and how well you take care of your razor. Regular cleaning and lubrication will prolong the life of the blades. If you use the automatic cleaning station it will take care of both for you. Testing the Braun 7865cc yielded some familiar results for me since this wasn’t my first Series 7. 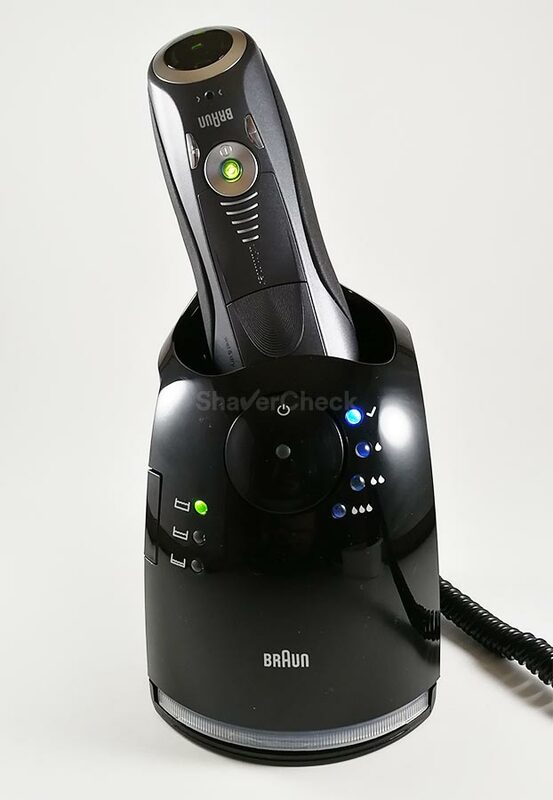 If I were to summarize my experience with it very briefly, I’d say that it is an extremely enjoyable and capable electric shaver that would be perfectly suitable for most men. It is remarkably comfortable, gentle and forgiving, making it ideal for men with sensitive, irritation-prone skin. If you deal with razor burn, rashes or even ingrown hairs, you should strongly consider a Series 7. The 7865cc would be a good pick since it tends to cost less than other similar Series 7 models. The 7865cc also performs way better than other foil-based razors when shaving longer, flat-lying hairs. If you don’t always shave daily or every other day, it could be a very good option. The closeness of the shave is perfectly adequate in my opinion, but again, I think a similarly priced Panasonic will get you a slightly closer shave. Choosing between them should come down to your needs (comfort vs closeness). 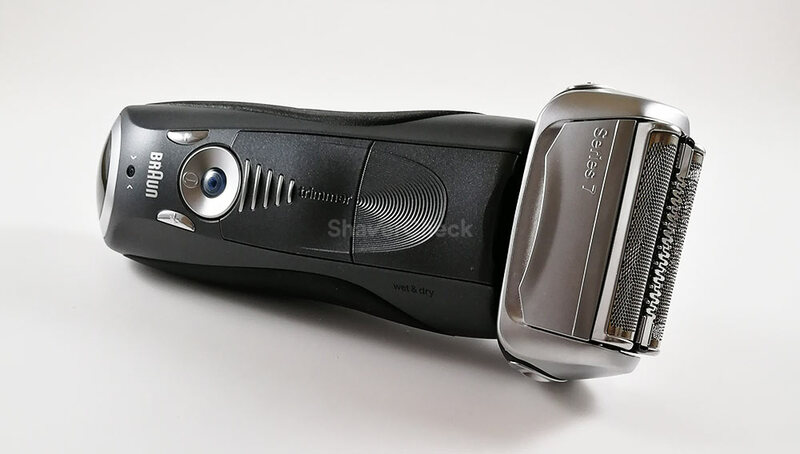 While the 7865cc can be used in the shower or with shaving cream/gel, a dry shave is probably the way to go with this shaver as I mentioned previously in this review. The Series 7 7865cc is very versatile and a great all-rounder. However, it won’t always be the ideal choice and in several situations there might be better options for the same money or even less. The 790cc is probably the most popular Series 7. It is the quintessential model that everyone knows and loves. From a performance point of view, the 790cc is not superior to the 7865cc. In fact, its highest power setting is presumably 12% lower than the one on the 7865cc (and other Series 7 that feature 5 personalization modes). Having used both, I find the 790cc and 7865cc to perform pretty much identical. So why should you choose the 790cc over the 7865cc? The answer is pretty straight forward: the price. I’ve been keeping an eye on the prices of both for the last few months they tend to go up and down continuously. As a result, you should simply buy the one you can get at a better price. It’s as simple as that. Also, you may be able to find the 790cc with the older cleaning station that features induction heating and a quick cleaning mode. You can spot that one by the distinct blue button of the quick clean mode and the inductive heating symbol (but don’t rely on the official product photos entirely, they’re just informative and doesn’t mean you’ll get precisely the product they depict). Make sure to ask the seller additional questions and request actual photos of the product. 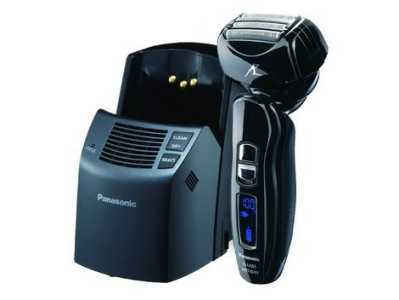 This Panasonic comes with a cleaning station, it generally costs less than the 7865cc and for most men it will provide a closer shave (full review). It works great with shaving cream too. 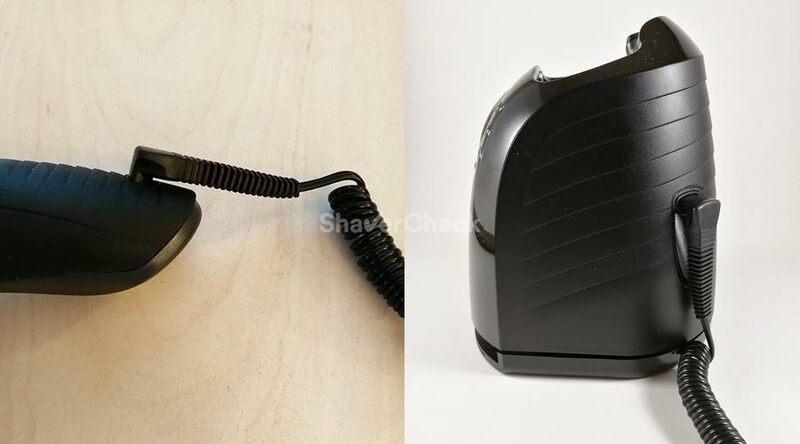 Moreover, the cleaning cartridges are cheaper and will last a longer time and you also have the option to dry your shaver as the station is fitted with a fan. The downsides? The Panny is not quite as comfortable as the Series 7 and not quite as good at capturing longer, flat-lying hairs. If however the pros make it a more suitable pick for your needs, it is a great shaver. Since it’s also very easy to clean manually, you can skip the station and save some money by going for the Panasonic ES-LA63-S variation which is an identical shaver. Finally, if the Series 7 7865cc looks like the right razor for you, but the price exceeds your budget, the Series 5 is a viable, more cost-effective alternative. The best pick seems to be the Series 5 5090cc that comes with a cleaning station and can be had for less money than other models. The shaving heads needed for the Series 5 are also cheaper in comparison to the Series 7, meaning lower costs of ownership. The shaving performance of the Series 5 is very similar to the Series 7. Having used both, I would say that the Series 7 feels more refined and it is more enjoyable to use. The Series 5 body vibrates a lot and makes more noise and the shaving head doesn’t pivot as smoothly as the one of the 7865cc. However, the end result is very similar with regards to comfort and closeness. 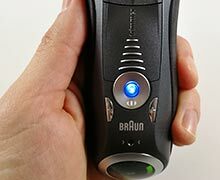 Home » Reviews » Braun Series 7 7865cc Review: Is Newer Also Better? My beard is moderate to coarse in some areas, and I dry shave. Using gel or water with an electric shaver never made sense to me. In the past I’ve used Braun Series 3 and 5 as well as Panasonic Arc 3 and 4. I had to go over and over areas with the Braun 3 and 5, and the Panasonics always left stubble behind. In my opinion, the Braun 7865cc blows them all away. It shaves noticeably closer as well as faster than the other shavers, and in some areas of my face it shaves about as close as a blade. I probably won’t keep using the clean & charge station because to me it’s an unnecessary ongoing expense. After each shave I tap the whiskers out of the cartridge and follow up with a soft natural hair brush. Once a week I wash it under hot water and soft soap, then spray with Shaver Saver when dry. I’m very pleased to have found a shaver that works so well for me. Also, I enjoy your website very much. Keep up the good work! Thank you for taking the time to share your experience, I really appreciate it. The 7865cc really is a great shaver and I also enjoy shaving with it dry. Regarding the cleaning station, I now use a third-party refill concentrate that works just as well but it’s a lot cheaper. I only use the station after 5 shaving sessions or so to clean the cassette of any dirt buildups I must have missed with a manual cleaning. In the meantime I take the cartridge out and put the cap back on to prevent evaporation. This has worked great for me so far and with minimal costs. That sounds like a good plan that works well for you and saves some money. I’ve heard that wintergreen alcohol and a few drops of mineral oil makes a good substitute for the cleaning solution also. I might give it a try sometime. One thing I’ve noticed with the 7865 is that it continues to shave close. It seems that inexpensive Brauns and other brands shave close for a few days or so and then the blades get dull quickly. And you find yourself going over and over areas. Thanks for the details! You’ve really helped me narrow down my choice. One difference you did not mention above is that the 790cc was only classified as a dry shaver. Is it correct to conclude that if you use your shaver in the shower or use it with gel/cream, you should get the 7865cc? Thank you for your comment, Bob. I really appreciate it. Yes, that is absolutely correct. I enjoyed your very detailed review of the Braun 7865CC. Lots of great praises and some gripes I agree with you on. I have owned 5 electric razors since I started shaving about 12-15 years ago. Ranging from Norelco, Braun, and Panasonic. The Braun 7865 is my second Braun. Many years ago I had a Braun series 1 which was quickly returned. That was as bad as the Remington I tried hastley returned. The Braun 7865 is by far the nicest electric razor I have owned. The second best I have had was a Panasonic ES8077S. Foil razors are the way to go for me and my sensitive skin. I tried to make Norelco work for me but to no success. I had a handy down Norelco similar to the now Norelco 1100 and later I had a Norelco 6100. Rotary razors always gave me the worst irritation and razor burn. They always pulled and pinched my skin on my neck. Foil razor while not perfect I have very little issues unless my skin is really dry (it is winter). To me the motions of up down and left to right with a foil razor are more natural and automatic. I made the mistake of using this motion with a Norelco a few times and paid dearly for it. Now that I have made my intro here is what I agree with you on the Braun 7865 and my personal praises and gripes. The build quality of the shaver is top notch and I love the ergonomics! In general I believe Germany has designed and built some of the highest quality consumer goods. So it makes me happy that the shaver itself is built in Germany. But good grief everything else in the box is made from a wide array of countries. As features go I personally love the adjustable speed settings on the shaver. I found the perfect speed to be setting 2-3 out of the 5 settings with some areas like my jaw line level 5 (turbo). I can definitely hear the motor slow down and to your point sound sluggish. The display on the razor is a big gripe for me. it is awkwardly placed, dimly lit, and hard to read the indicators. I was disappointed to find that my cheap Panasonic ESRT51S had a better battery level indicator than this Braun plus the screen was easy to use. Not sure what Braun was thinking with this design. The Braun 790 screen is much easier to read! I never found the sideburn trimmer on any razor to be great but this one is at least built into the razor unlike the Norelco 5000, 7000, and S9000. The battery life seems to be great and last me several shaves, but the razor is still brand new I expect the battery quality to diminish in the years to come. The comfort of the shaver is the best that I have had with an electric razor yet. Between the Braun innovations of the foils, the new sharp blades, and variable speed settings this razor is huge win for me. The clean and renew station is a very nice and sleek design. 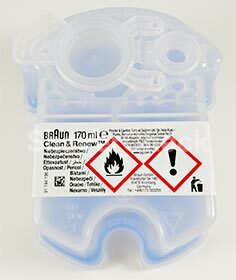 I like that Braun uses alcohol in their cleaning solution cartridges. The the cleaning station is pretty straight forward and basic. The cartridges are very well designed with a blue fine mesh at the bottom for capturing the shaved clippings. The cleaning station is on the larger size for me but the only cleaning system I can personally compare it to is the one I had with the Panasonic ES8077S. Because of this the cleaning station sits on my dresser since I have a small bathroom sink. But a word of caution if you do this. Put the station on a tray of towel because of the cleaning solution dripped on my dresser when removing the shaver and instantly ruined a small part of the finish on my dresser. The only other gripes I have for the cleaning station is there is no induction heat or a fan to dry the shaver. It took hours for the shaver to dry. And yes, the refill cartridges are not cheap. But I’d rather use factory refills than risk voiding my warranty with a third party solution. Plus there are ways to extend the life of the cartridge. Like putting the cap back on the cartridge when not in use. One last note I love the hard travel pouch included with the shaver. Hope I didn’t steal your thunder with my very long comment! Thank you so much for taking the time to write such a comprehensive overview. Those are some excellent points! Rotary shavers don’t work for me either (for precisely the reasons you mentioned) and the only one that managed to provide a decent shave was the Series 9000 Prestige. But it was still not as good as what I’d get from a quality foil shaver like the Series 7 and it’s also very expensive. So foil shavers all the way. The 7865cc is currently the shaver I use the most in my rotation. It’s just a very enjoyable shaver that works great every time and I think its qualities far outweigh the shortcomings. Great review. I own a Braun Series 5, with a cleaner, and I rotate it with a Series 7 740s-6, without a cleaner. I’ve regretted not getting a Series 7 Cleaner and after reading your review I am more determined than ever to do so. Trying to determine exactly which model to buy has lead me to a few questions. Will the razor’s power cord fit the cleaner? (Amazon sells the cleaner with and without a cord.) Is the older model a better choice? So, I did a chat w Braun online customer support. I was assured that the Model 740s-6 will not work with either cleaner, but the agent could not further enlighten me. I am now determined to find the truth, I buy one of the cleaners and see for myself. I’ve heard about different Braun CS representatives saying different things with regards to the Series 7 and the cleaning station. However, I am pretty sure that it will work with your 740s. There are two model numbers for the station you should be checking out: 81365080 (this is the older one with inductive heating and quick clean mode) and 81622438 (the updated model, no induction heating). While both should work, you might as well go for the older model for the added features and just to be on the safe side with the 740s also being an older model. Let us know how it goes if you have the time.